سواءً كنت مسافراً بغرض السياحة أو العمل, Atura Dandenong هو خيار عظيم للإقامة خلال زيارتك ملبورن. لا يبعد الفندق كثيراً عن مركز المدينة، فهو يقع على بعد 30 km منها. في حين يستغرق الطريق منها إلى المطار حوالي 35 دقيقة. يشكل هذا الفندق ملاذاَ مريحاً للاسترخاء ويمنح زواره فرصة للاستجمام والتجدد، وهو يقع على بعد خطوات من المعالم السياحية الكثيرة للمدينة كمثل: ‪Myuna Farm‬, Dandenong Plaza, Endeavour Hills Medical Centre. يقدم Atura Dandenong خدمات لا غبار عليها وكل أشكال اللياقة وحسن الضيافة اللازمة لإسعاد ضيوفه. يقدم هذا الفندق العديد من الخدمات الكفيلة بإرضاء أكثر الضيوف تطلباً. ادخل إلى واحدة من الغرف 128 وتخلص من عناء نهار طويل بمساعدة مجموعة كبيرة من الخدمات كمثل تلفزيون بشاشة مسطحة, اتصال لاسلكي بالإنترنت, اتصال لاسلكي بشبكة الإنترنت (مجاني), غرف لغير المدخنين, مكيف هواء الموجودة في بعض الغرف. إن مركز للياقة البدنية هو المكان الأمثل في الفندق للاسترخاء وتفريغ طاقتك بعد نهار طويل. اكتشف مزيجاً ساحراً من الخدمة الاحترافية والخيارات الواسعة من وسائل الراحة والمتعة في Atura Dandenong. تم خفض الرسوم الإضافية للبطاقات الائتمانية لنسبة تصل إلى 1,08% لبطاقات فيزا وماستر كارد وداينرز كلوب وأمريكان إكسبرس. This was my third time at Atura.In terms of stay it was great overall! I stayed with my little one and asked the reception to warm my little ones food. They kindly did it twice but then all of a sudden it became an OH&S issue. Now I am unsure if I should book a room here next time or not because of course what’s more important for me is to be able to warm up my baby’s food. Will an apartment be a better option for me but I prefer a hotel in general. Anyways, the lady never refused, it was the guy who became really concerned and that too after my naughty little boy was running around. Some people are not very accepting of little ones running around and doing their stuff. Staff were great, especially Jessica. I do enjoy staying here. The facilities are great the staff are lovely and very helpful, and its a bonus having great block out curtains for that sleep in. 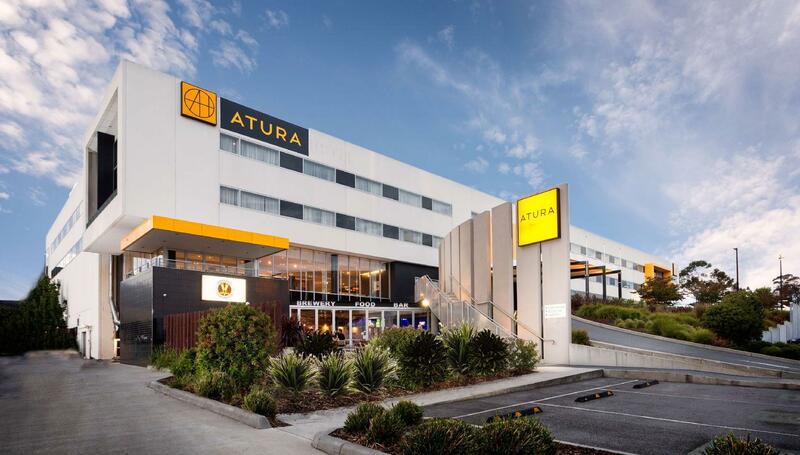 I found Atura to be extremely clean and comfortable on my stay. The down stairs bar and microbrewery are excellent and iffered a great range of fiid and beverages. Enjoyed my short stay there along with the friendly staff while i took pleasure in having a quiet knock off drink. Staff is very friendly and helpful, room is clean and spacious . The location is not so stretagy but the other than that, it was fantastic. Actually, I would think that the self help Laundry Machine and Dryer are a bit too costly. Also, chambermaid are not doing a good job in making sure the room are clean and beverage amenities are not replenish from day to day. Chifley is my go-to place when attending meetings at that side of the city. Always reliable, good staff, comfortable rooms. Cancellation policy is fantastic for changing requirements and price is always very reasonable. I'm satisfied with the staff support and the great dinner had at the basement restaurant. The mini brewery bar is amazed me where the fresh beer that taste awesome. 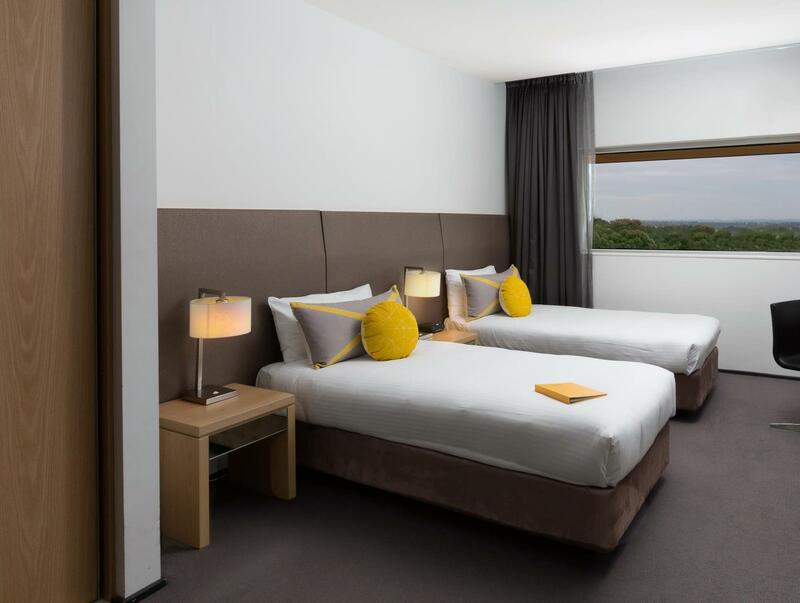 Recommend for business traveler if had few days activity nearby Dandenong South, VIC. good place to stay, the staff were great, has a boutic brewery on site. great reading area, free papers.